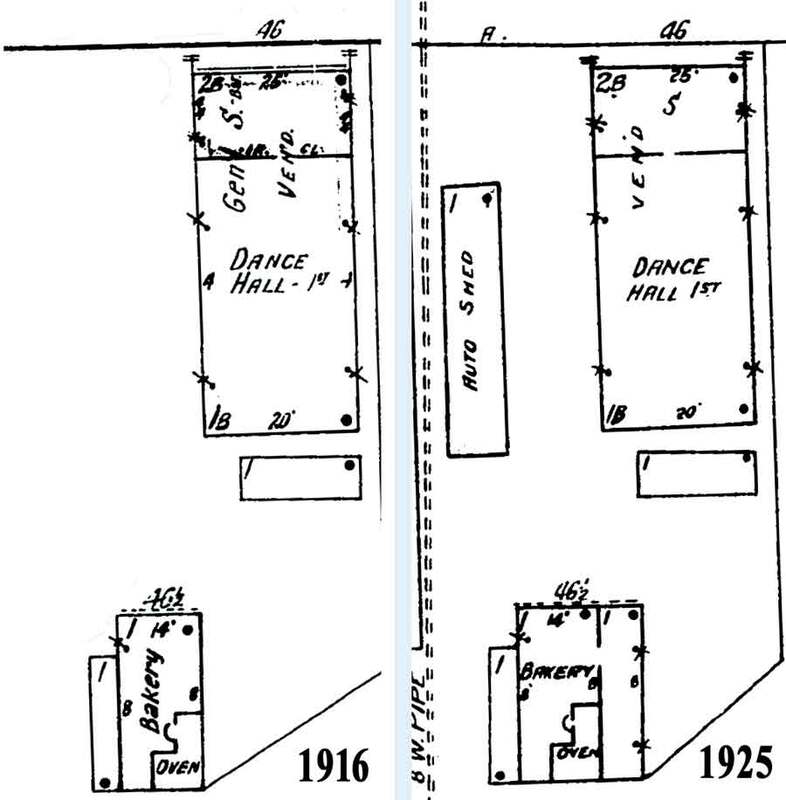 Detail from the October 1900 Sanborn fire insurance map of Granite Street showing the soon to be finished Socialist Labor Party Hall . A note indicates that the bakery and stores will be in the basement. 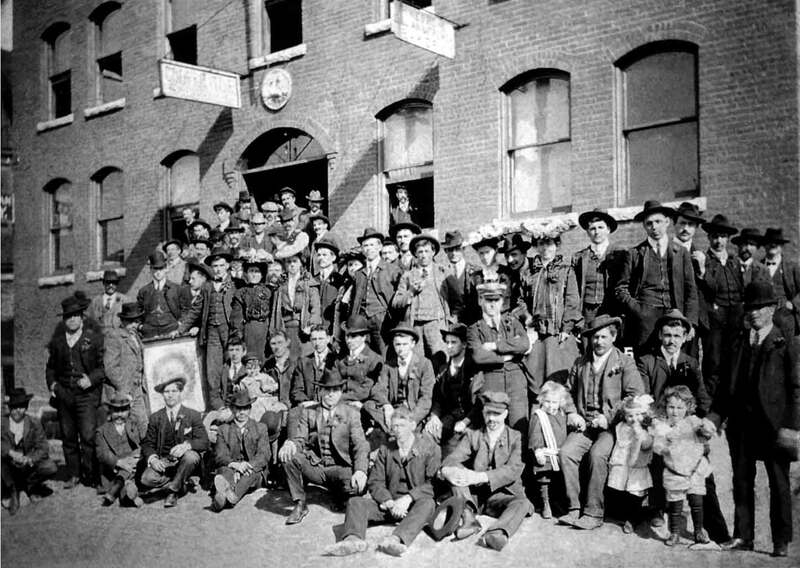 From the beginning, it was clear that the Socialist Labor Party Hall was to be more than just an office and meeting space. 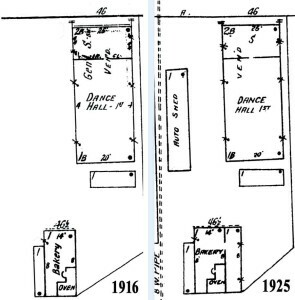 The Sanborn Map published in October of 1900 showed the footprint of the Hall (which was then under construction) and noted, even at that early date, that the Hall would include a “bake shop” and “stores”. Italian cooperative association to run a grocery store in the building. One year later, the opening of the Union Cooperative Store was announced. The Store and Bakery were a success from the first. Just over three months after it opened, the Store had to get another delivery team. In the basement of the Hall, premises were let to related undertakings. On one side of the corridor in the basement was the White Star Steam Laundry, and on the other, the bakery run by P. Negroni. A close look at the Primo Maggio picture from 1904 shows a sign on the outside of the Hall advertising the Bakery. 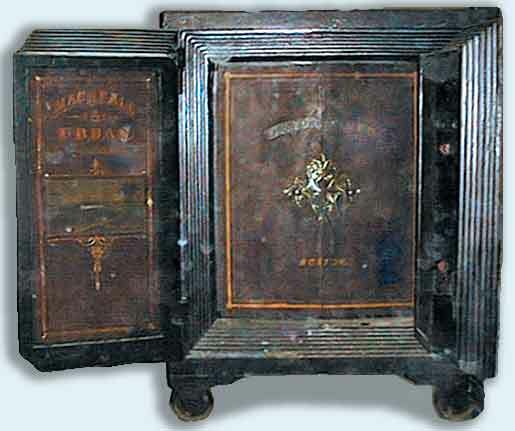 By August of 1904, business at the store had increased to such an extent that the Co-op found it necessary to buy an enormous safe to secure the receipts. The gross proceeds for the businesses that year tallied $23,597.43, with a profit of over $800. Midwinter ennui in North Barre was somewhat relived yesterday by a spectacular runaway in which the bakery outfit owned by Battista Fumagalli afforded most of the thrills. Emerging from the Willey street bridge, the horse took fright and with one bound succeeded in clearing the tracks and ejecting the driver from his seat. The bakery cab was overturned and the contents of the traveling larder were converted into a hopeless jumble of hot buns, custard pie and bread. Beginning in 1910, Batista Fumagalli, who had already been working at the bakery, was made the manager, a position he held for the next eighteen years, first as an employee of the Co-op and later as the owner. It was likely by his instance that the bakery was moved out of the basement of the Old Labor Hall and into its own building. The increasing demand for baked goods, lack of space at the Hall, and likely the devastation wrought by the fire and 1912 flood encouraged the Co-op to venture on another major expansion of its enterprise. 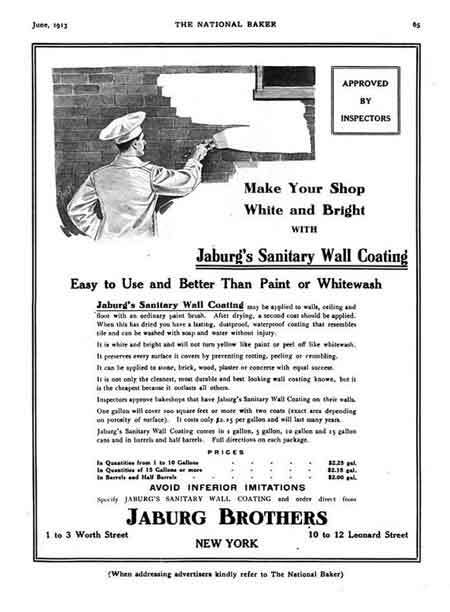 Instead of whitewash, this may have been the type of wall finish used (as advertised in "The National Baker” in 1913). The superstructure is built on a cement foundation six feet high and is located well back from the street. Excellent water and sewer connections have been made and the construction and equipment of the building has been carried out with a view to obtaining the maximum of sanitary conditions. The interior is exceptionally well lighted. By day, whitewashed walls add greatly to the lighting facilities and adequate artificial light is furnished by numerous electrical fixtures. No better ventilation system could be secured. The walls are broken in several places by ample shutter holes that may be opened or closed to regulate the temperature. The oven, a model of its kind, is built on a foundation of solid cement. Baking appliances of the most modern kind have been installed and everything will be in readiness for the first mixing to-night. In line with the directors’ policy of insuring cleanliness, each employe of the bakery from the head baker down to the less skilled helper is required to discard his street clothes and don a regulation garb as soon as he begins work. Ad for Bakery and Confectionery Workers’ International Union of America in the Cigar Makers’ Official Journal, Volume 35, Issue 9 (1912). 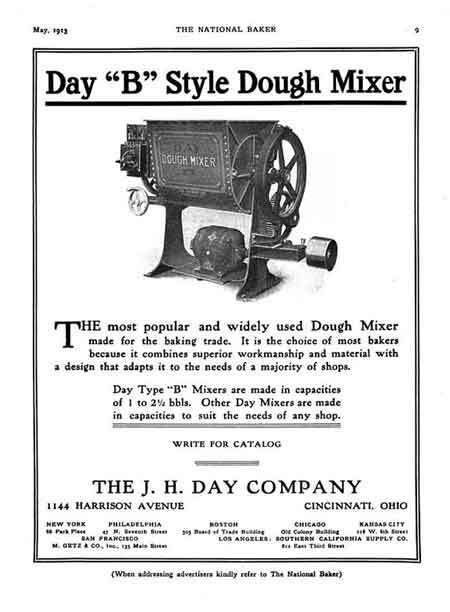 Since there was a local of the Cigar Maker’s International Union in Barre, this ad may have drawn attention to the need to put a union label on the Bakery’s goods. 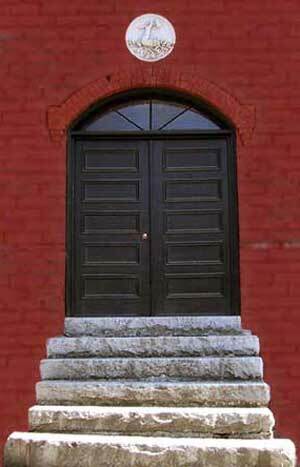 “Barre local, No. 153 of the bakery and confectionery workers’ international union of America have just completed negotiations with the management of the Union Co-operative store and bakery, whereby they are to put the union label on all the products of their bakery. This is the first concern in Barre to put out its bakery products with the union label on them. 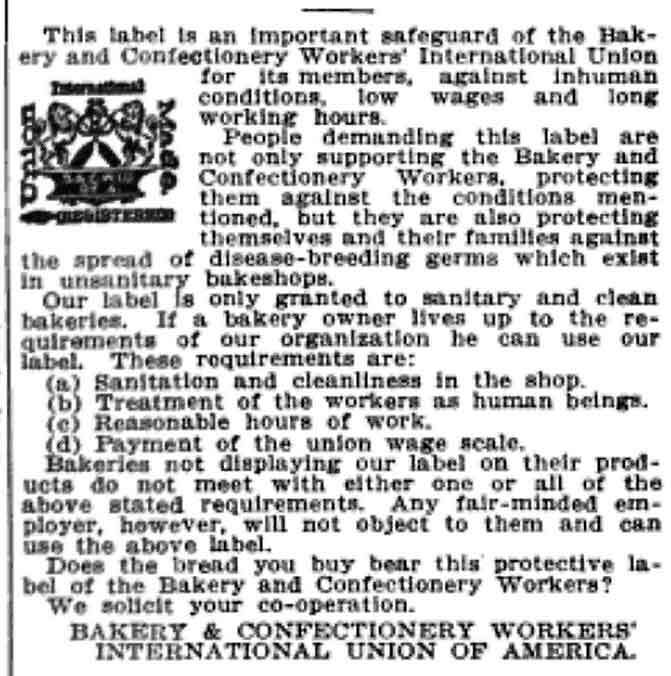 The officers of the Central Labor union have been co-operating with the bakery workers’ union for some time in an endeavor to have the bakers’ union label put into use by all bakeries in Barre and this is the first result of their efforts. From 1910 to 1929, Batista Fumagalli was the head and heart of the bakery. He operated it as a small, old-world style bakery catering primarily to the Italian immigrant community within the immediate area. It remained unique in that it was the first true Italian bakery in Barre, adding greatly to the vitality of the surrounding neighborhood and its thriving Italian Community. Most of the business at the co-op store and bakery was by delivery, offering their goods to a range of boarding houses around the Granite Street neighborhood. Sandborn Maps showing the expansion of the bakery building under the leadership of Batista Fumagalli. Fumagalli was imbued with the cooperative and socialist ethos of the supporters of the Old Labor Hall. It was under his management that the union label was affixed to its baked goods. During the Great Depression Batista Fumagalli formulated a work-sharing schedule for his employees that included two weeks of work and one week off, thus allowing a greater number of people to work. In this sense, the socialist work ethic adhered to by Fumagalli enabled the bakery to thrive during harsh economic times while allowing more people to benefit by working. Unfortunately, fate was not kind to bakery or the Union Co-operative Store. Granite Street was subject to major flooding in 1925 and again in 1927. (The Co-op sustained the greatest losses of any business in Barre.) With the even more disastrous flood in November of 1927, the Winooski River and its tributaries swelled far beyond their banks to inundate Barre and many other Vermont towns with quantities of water not seen before. 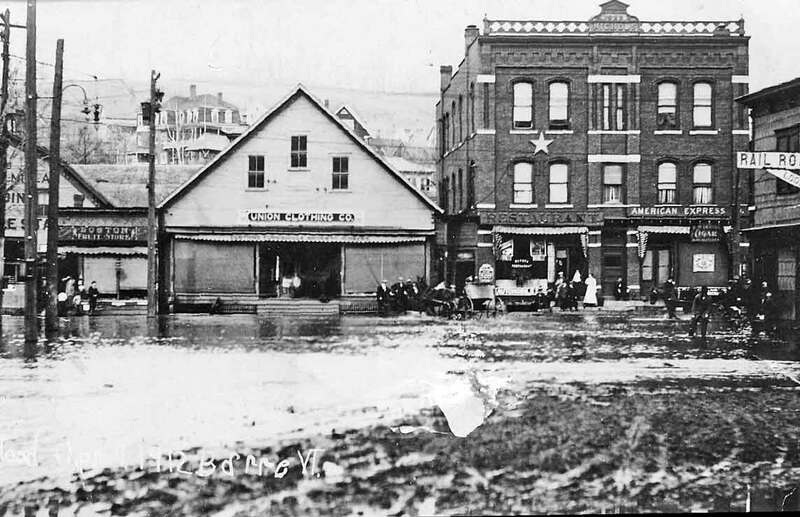 The co-op store and the accompanying bakery narrowly survived the flood, but were not able to remain in business much longer. By the end of 1928, Fumagalli’s merged his with the Modern Bakery to become the largest bakery in Barre and relocated to its premises on Brook Street, taking all of the bakery equipment with him. The bakery stood vacant for a period of time after Fumagalli moved out, but by 1936 it was again occupied and used for baking old-world Italian bread. Gioseppi (Joseph) Piccolini ran a substantial business from the building, delivering his goods primarily to private residences, but also to area grocery stores such as the A & P. Bread made in the bakery was simple, and included Vienna bread, French bread, butter rolls, and round loaves which were placed on a layer of cornmeal directly on the masonry surface of the oven. Loaves sold for 10 cents if delivered and 8 cents if purchased at the store. Deliveries were made by trucks, displaying the words “Gioseppi Piccolini & Sons” on the side. This was not a propitious time to start a business. Gioseppi Piccolini’s business finally succumbed to the pressure and competition of larger bakeries. In the early 1940’s, Piccolini closed the establishment and went on to work for Batista Fumagalli at his flourishing Brook Street bakery and the former Co-op bakery building finally closed as a bakery. Company and used for granite storage. 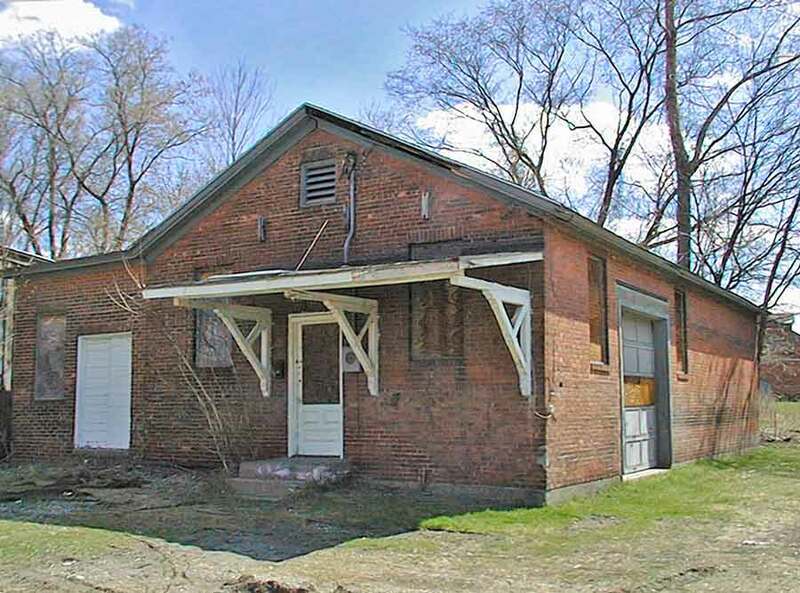 With this change of ownership to a business requiring large amounts of storage space, it is likely that the brick oven was removed at this time. 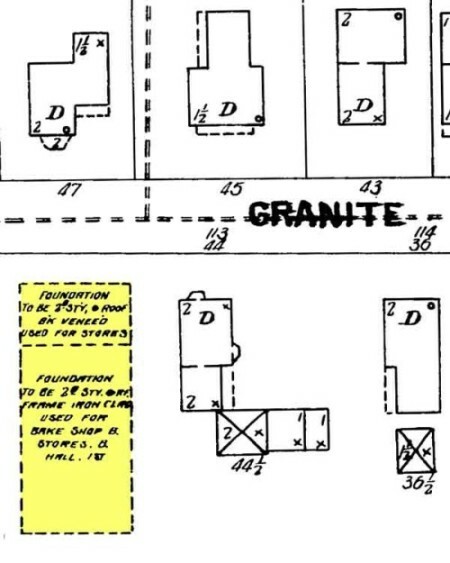 The title was transferred a number of times during the 1960s and came to be owned in 1964 by Rouleau Granite Company, which used the building for storage until 2001. 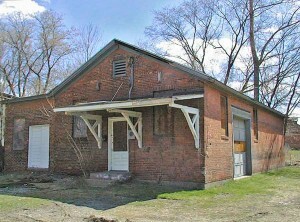 It was then owned and leased out by John Dernavich for storage use. In September 2004, the building was acquired by the Barre Historical Society at the dispersal auction of Dernavich’s Desilets Granite Co and reunited with the Old Labor Hall property. The property is a sad little building which has stood empty since that acquisition, but is about to undergo a renaissance. What’s Next for the Bakery Building? Dine and Dance to Raise the Dough!